Reforcer® is a Company made by friends with their hearts. Not a big Company. Juan Martínez, founder, and Fernando Fuentes doing their best during few years to give birth the brand. We strongly believe that ski and overcoming makes a great combination, once we realised how thought life could be we wanted to focus our efforts on sharing that view. WHERE IS REFORCER COLLECTION CREATED? All Reforcer® clothes are designed, pattern-making work and produced in the European Union. We’re really happy you want to talk about our products and ideas, please contact us on retailers@reforcer.com. We are doing FW2019/2020 european point of sales net. ¿DO I NEED TO SET UP AN ACCOUNT TO PLACE AN ORDER? An account is not required to place an order. All our prices are including VAT. Payment for all our Orders needs to be done in EURO via PAYPAL, credit card or even bank transfer. Once an order leave our warehouse you’ll receive an e-mail with courier tracking number so you can track it. Yes you can, just write us an-e-mail with order number and we will change it for you if it is not yet sent. You have up to one week after reception of the goods to return or exchange the goods, no transport costs will be charged. In case you want to exchange or return goods please contact us on sales@reforcer.com and we will inform you how needs to be done. Refunds are done always when goods arrive in good condition to Reforcer warehouse. We want to provide all Reforcer® community the best possible customer care. If something went wrong, please send us an-e-mail with what happened and we will contact you very fast in order to understand what happened. TO WHICH COUNTRIES IS REFORCER SHIPPING? 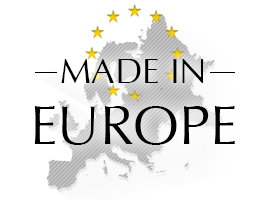 We ship to all European Economic Area. HAVE REFORCER GARMENTS ANY KIND OF WARRANTY? All products are 2 years warrantied. AND WHAT ABOUT IF I NEED TO USE MY WARRANTY RIGHT? If you need it you should mail or call us as soon as possible. Don’t hesitate!We will solve your problem in a fast way: know the problem, receive garment, solve defect and ship to you . Custom total bill: 0 eur. But please, notice that it could take time, it depends on kind of problem….